6352001 FB5 TOYOTA FB5 Electric forklift FB series. Spare parts catalog. Service (workshop) Manual. 6352002 2FB7 TOYOTA 2FB7 Electric forklift FB series. Spare parts catalog. Service (workshop) Manual. 6352003 3FB7 TOYOTA 3FB7 Electric forklift FB series. Spare parts catalog. Service (workshop) Manual. 6352004 2FB9 TOYOTA 2FB9 Electric forklift FB series. Spare parts catalog. Service (workshop) Manual. 6352005 3FB9 TOYOTA 3FB9 Electric forklift FB series. Spare parts catalog. Service (workshop) Manual. 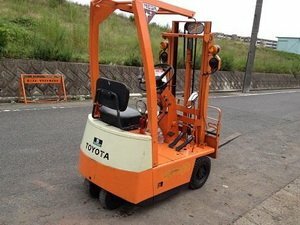 6352006 4FB10 TOYOTA 4FB10 Electric forklift FB series. Spare parts catalog. Service (workshop) Manual. 6352007 5FB10 TOYOTA 5FB10 Electric forklift FB series. Spare parts catalog. Service (workshop) Manual. 6352008 6FB10 TOYOTA 6FB10 Electric forklift FB series. Spare parts catalog. Service (workshop) Manual. 6352009 7FB10 TOYOTA 7FB10 Electric forklift FB series. Spare parts catalog. Service (workshop) Manual. 6352010 30-4FB10 TOYOTA 30-4FB10 Electric forklift FB series. Spare parts catalog. Service (workshop) Manual. 6352011 30-5FB10 TOYOTA 30-5FB10 Electric forklift FB series. Spare parts catalog. Service (workshop) Manual. 6352012 20-6FB10 TOYOTA 20-6FB10 Electric forklift FB series. Spare parts catalog. Service (workshop) Manual. 6352013 30-6FB10 TOYOTA 30-6FB10 Electric forklift FB series. Spare parts catalog. Service (workshop) Manual. 6352014 4FB14 TOYOTA 4FB14 Electric forklift FB series. Spare parts catalog. Service (workshop) Manual. 6352015 5FB14 TOYOTA 5FB14 Electric forklift FB series. Spare parts catalog. Service (workshop) Manual. 6352016 6FB14 TOYOTA 6FB14 Electric forklift FB series. Spare parts catalog. Service (workshop) Manual. 6352017 7FB14 TOYOTA 7FB14 Electric forklift FB series. Spare parts catalog. Service (workshop) Manual. 6352018 30-4FB14 TOYOTA 30-4FB14 Electric forklift FB series. Spare parts catalog. Service (workshop) Manual. 6352019 30-5FB14 TOYOTA 30-5FB14 Electric forklift FB series. Spare parts catalog. Service (workshop) Manual. 6352020 20-6FB14 TOYOTA 20-6FB14 Electric forklift FB series. Spare parts catalog. Service (workshop) Manual. 6352021 30-6FB14 TOYOTA 30-6FB14 Electric forklift FB series. Spare parts catalog. Service (workshop) Manual. 6352022 4FB15 TOYOTA 4FB15 Electric forklift FB series. Spare parts catalog. Service (workshop) Manual. 6352023 5FB15 TOYOTA 5FB15 Electric forklift FB series. Spare parts catalog. Service (workshop) Manual. 6352024 6FB15 TOYOTA 6FB15 Electric forklift FB series. Spare parts catalog. Service (workshop) Manual. 6352025 7FB15 TOYOTA 7FB15 Electric forklift FB series. Spare parts catalog. Service (workshop) Manual. 6352026 30-4FB15 TOYOTA 30-4FB15 Electric forklift FB series. Spare parts catalog. Service (workshop) Manual. 6352027 30-5FB15 TOYOTA 30-5FB15 Electric forklift FB series. Spare parts catalog. Service (workshop) Manual. 6352028 20-6FB15 TOYOTA 20-6FB15 Electric forklift FB series. Spare parts catalog. Service (workshop) Manual. 6352029 30-6FB15 TOYOTA 30-6FB15 Electric forklift FB series. Spare parts catalog. Service (workshop) Manual. 6352030 40-6FB15 TOYOTA 40-6FB15 Electric forklift FB series. Spare parts catalog. Service (workshop) Manual. 6352031 40-7FB15 TOYOTA 40-7FB15 Electric forklift FB series. Spare parts catalog. Service (workshop) Manual. 6352032 4FB18 TOYOTA 4FB18 Electric forklift FB series. Spare parts catalog. Service (workshop) Manual. 6352033 5FB18 TOYOTA 5FB18 Electric forklift FB series. Spare parts catalog. Service (workshop) Manual. 6352034 6FB18 TOYOTA 6FB18 Electric forklift FB series. Spare parts catalog. Service (workshop) Manual. 6352035 7FB18 TOYOTA 7FB18 Electric forklift FB series. Spare parts catalog. Service (workshop) Manual. 6352036 30-5FB18 TOYOTA 30-5FB18 Electric forklift FB series. Spare parts catalog. Service (workshop) Manual. 6352037 20-6FB18 TOYOTA 20-6FB18 Electric forklift FB series. Spare parts catalog. Service (workshop) Manual. 6352038 30-6FB18 TOYOTA 30-6FB18 Electric forklift FB series. Spare parts catalog. Service (workshop) Manual. 6352040 FBA10 TOYOTA FBA10 Electric forklift FBA series. Spare parts catalog. Service (workshop) Manual. 6352041 20-FBA10 TOYOTA 20-FBA10 Electric forklift FBA series. Spare parts catalog. Service (workshop) Manual. 6352042 30-FBA10 TOYOTA 30-FBA10 Electric forklift FBA series. Spare parts catalog. Service (workshop) Manual. 6352043 FBA15 TOYOTA FBA15 Electric forklift FBA series. Spare parts catalog. Service (workshop) Manual. 6352044 20-FBA15 TOYOTA 20-FBA15 Electric forklift FBA series. Spare parts catalog. Service (workshop) Manual. 6352045 30-FBA15 TOYOTA 30-FBA15 Electric forklift FBA series. Spare parts catalog. Service (workshop) Manual. 6352047 2FBB15 TOYOTA 2FBB15 Electric forklift FBB series. Spare parts catalog. Service (workshop) Manual. 6352048 3FBB15 TOYOTA 3FBB15 Electric forklift FBB series. Spare parts catalog. Service (workshop) Manual. 6352050 2FBC10 TOYOTA 2FBC10 Electric forklift FBC series. Spare parts catalog. Service (workshop) Manual. 6352051 5FBC10 TOYOTA 5FBC10 Electric forklift FBC series. Spare parts catalog. Service (workshop) Manual. 6352052 30-2FBC10 TOYOTA 30-2FBC10 Electric forklift FBC series. Spare parts catalog. Service (workshop) Manual. 6352053 5FBC13 TOYOTA 5FBC13 Electric forklift FBC series. Spare parts catalog. Service (workshop) Manual. 6352054 30-5FBC13 TOYOTA 30-5FBC13 Electric forklift FBC series. Spare parts catalog. Service (workshop) Manual. 6352055 2FBC15 TOYOTA 2FBC15 Electric forklift FBC series. Spare parts catalog. Service (workshop) Manual. 6352056 5FBC15 TOYOTA 5FBC15 Electric forklift FBC series. Spare parts catalog. Service (workshop) Manual. 6352057 30-2FBC15 TOYOTA 30-2FBC15 Electric forklift FBC series. Spare parts catalog. Service (workshop) Manual. 6352058 30-5FBC15 TOYOTA 30-5FBC15 Electric forklift FBC series. Spare parts catalog. Service (workshop) Manual. 6352059 5FBC18 TOYOTA 5FBC18 Electric forklift FBC series. Spare parts catalog. Service (workshop) Manual. 6352060 30-5FBC18 TOYOTA 30-5FBC18 Electric forklift FBC series. Spare parts catalog. Service (workshop) Manual. 6352062 2FBCA10 TOYOTA 2FBCA10 Electric forklift FBCA series. Spare parts catalog. Service (workshop) Manual. 6352063 30-2FBCA10 TOYOTA 30-2FBCA10 Electric forklift FBCA series. Spare parts catalog. Service (workshop) Manual. 6352064 2FBCA13 TOYOTA 2FBCA13 Electric forklift FBCA series. Spare parts catalog. Service (workshop) Manual. 6352065 30-2FBCA13 TOYOTA 30-2FBCA13 Electric forklift FBCA series. Spare parts catalog. Service (workshop) Manual. 6352066 2FBCA15 TOYOTA 2FBCA15 Electric forklift FBCA series. Spare parts catalog. Service (workshop) Manual. 6352067 30-2FBCA15 TOYOTA 30-2FBCA15 Electric forklift FBCA series. Spare parts catalog. Service (workshop) Manual. 6352069 5FBCU15 TOYOTA 5FBCU15 Electric forklift FBCU series. Spare parts catalog. Service (workshop) Manual. 6352070 7FBCU15 TOYOTA 7FBCU15 Electric forklift FBCU series. Spare parts catalog. Service (workshop) Manual. 6352071 30-5FBCU15 TOYOTA 30-5FBCU15 Electric forklift FBCU series. Spare parts catalog. Service (workshop) Manual. 6352072 30-7FBCU15 TOYOTA 30-7FBCU15 Electric forklift FBCU series. Spare parts catalog. Service (workshop) Manual. 6352073 7FBCU18 TOYOTA 7FBCU18 Electric forklift FBCU series. Spare parts catalog. Service (workshop) Manual. 6352074 30-5FBCU18 TOYOTA 30-5FBCU18 Electric forklift FBCU series. Spare parts catalog. Service (workshop) Manual. 6352075 30-7FBCU18 TOYOTA 30-7FBCU18 Electric forklift FBCU series. Spare parts catalog. Service (workshop) Manual. 6352077 6BNCU15 TOYOTA 6BNCU15 Electric forklift BNCU series. Spare parts catalog. Service (workshop) Manual. 6352078 6BNCU17 TOYOTA 6BNCU17 Electric forklift BNCU series. Spare parts catalog. Service (workshop) Manual. 6352079 6BNCU18 TOYOTA 6BNCU18 Electric forklift BNCU series. Spare parts catalog. Service (workshop) Manual. 6352080 6BNCU19 TOYOTA 6BNCU19 Electric forklift BNCU series. Spare parts catalog. Service (workshop) Manual. 6352082 6BNCUE15 TOYOTA 6BNCUE15 Electric forklift BNCUE series. Spare parts catalog. Service (workshop) Manual. 6352083 6BNCUE18 TOYOTA 6BNCUE18 Electric forklift BNCUE series. Spare parts catalog. Service (workshop) Manual. 6352085 6BVNCU13 TOYOTA 6BVNCU13 Electric forklift BVNCU series. Spare parts catalog. Service (workshop) Manual.